Put the tip...just the tip...in the tip jar. How much do I tip my uber or lyft driver? 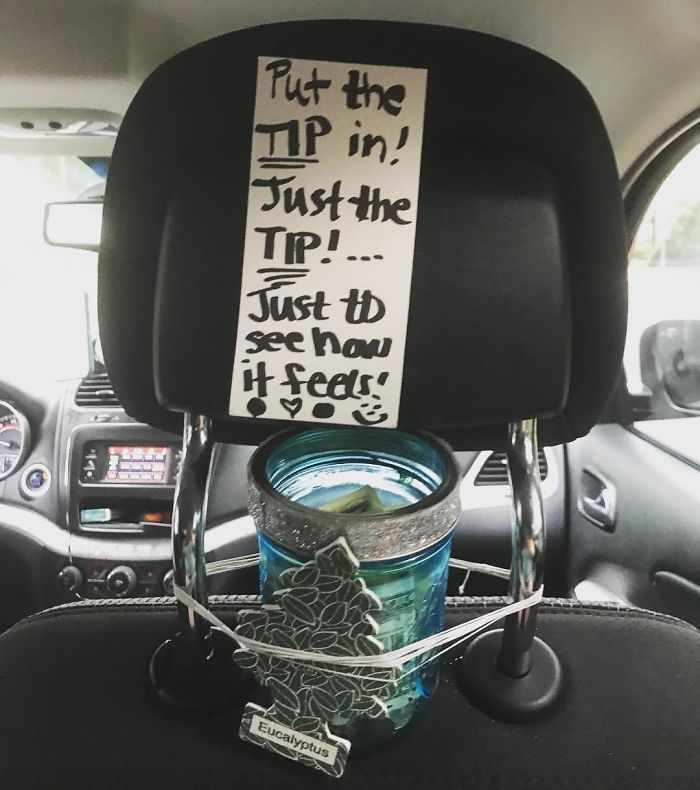 Drivers/ Riders How do you feel about a driver having a sign up about tipping in their vehicle or an actual tip box in their car??? Should You Tip Your Uber Driver? If So, How Much? Gross. I am with RedAnt on this one. I hate to be the bearer of bad news, but if my driver had this in their car, not only would I be more inclined NOT to tip, but to also rate badly.